The Chairman of the Federal Reserve, the most powerful man in the world, Ben Bernanke testified last week during the Semiannual Monetary Policy Report to the Congress. During his testimony, Bernanke discussed the state of the economy during the final quarter of last year, the economic outlook for 2012 and beyond, and monetary policy. Although, Mr. Bernanke’s lifestyle or personality will never be confused with the “Most interesting man in the World,” they do share one common distinction – both men have phenomenal beards. 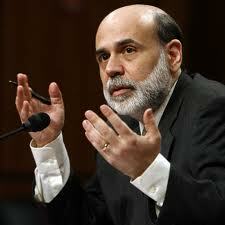 Bernanke’s prolific beard may appear to make him look interesting, but this is not the case. It is not shocking that so many grow to hate economics when intellectuals like Bernanke (Mr. Bernanke taught at Stanford, NYU, and Princeton) communicate the subject with zero energy or passion. Perhaps this method of delineating information, using a monotone bore, has been purposefully designed by the ruling class with the objective of making monetary policy uninteresting. Or maybe Ben Bernanke is just a boring dude who loves printing money. A growing number of young people are showing interest in the economic impacts that are generated by the Federal Reserves’ intervention into the free market. In 2008, then Presidential candidate, Barack Obama provided a general, non specific message that energized the masses and launched thousands young people in political activism. Times have changed drastically in four short years. Today, as we approach the presidential election, a Republican candidate has galvanized the young people of this nation behind the message of Liberty. A key component to the message of Liberty is based in sound money circulating in competition with government issued fiat dollars. Ron Paul has has been attracting crowds of 2,000 or more during his Presidential campaign, delivering a message anchored in the principle of sound money. The chants on college campuses are much more specific and financially oriented than four years ago. During the run up to the last election the common mantra was “Yes We Can.” This year college students can be heard chanting, “End the Fed” at campus rallies across the country. Last week, Dr. Paul took a break from the campaign trail to pay a visit to his old nemesis Mr. Bernanke. As per usual, the majority of the afternoon consisted of the other members of Congress taking turns fellating the ego of “Helicopter” Ben for saving the economy from certain collapse in 2008. As always, Congressman Ron Paul was the lone voice to take exception to the central banking love-fest. This should come as no surprise to consistent readers of this blog, we have detailed Dr. Paul’s interactions with the Chairman of the Fed in the past. It is not difficult to see, based on the visible tension between Congressman Paul and Chairman Bernanke, that the two dislike each other. The exchanges between Paul and Bernanke are mostly entertaining and always informative. At one point, during last week’s hearing, Congressman Paul inquires if the Chairman does his own grocery shopping. I can’t help but picture Mr. Bernanke meandering through the grocery store, completely oblivious to the rising prices of the items that comprise his shopping cart. Bernanke had stated earlier in his testimony that inflation remained between 1.5 and 3% during the 4th quarter of 2011 and early 2012. I don’t know if it is more shocking that he expects us to believe these absurdly low numbers, or that most members of Congress (specifically the rest of the Monetary Policy Committee) do not call him on this blatant lie. I would suggest that everyone take a few minutes and view the attached video. Ron Paul’s defining moment occurs when he holds up a 1 ounce silver coin. Dr. Paul compares the purchasing power of the coin in 2006, when Chairman Bernanke’s tenure at the Federal Reserve began, to today’s value. The same coin that bought 4 gallons of gasoline in 2006, would purchase 11 gallons today. When denominated in silver, the price of gasoline has actually dropped since 2006. Paul’s strength is communicating complicated economic theories using methods that deliver the lessons or concepts in Lehman’s terms. There is no better example of this than when he compares the changing value of the dollar to constructing a building with a measuring stick that changes value every day. It is no wonder that the current policy of manipulation of the monetary base by the Federal Reserve creates an uneven economic landscape that lack stability and sustainability. It is also increasingly evident why the young people in this country love Dr. Ron Paul. He’s the only politician that is always honest and makes sense consistently!